Japanese researchers have created a way to help a user mask their password when they’re entering it in a public place. User’s don;t have to worry about shoulder surfing or people watching him enter the password with SymmetricCursors, reports Gizmodo. SymmetricCursors, asks a person to enter the password by using a mouse to enter a PIN on a keyboard displayed on the screen. 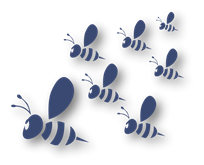 While the user is doing this input, a swarm of cursors floats around it, masking which one is actually responsible for the input. Users are able to recognize their own cursor, but if enough floating cursors are displayed, curious onlookers are not able to figure out which one is doing the work, and hence, figure out the password.